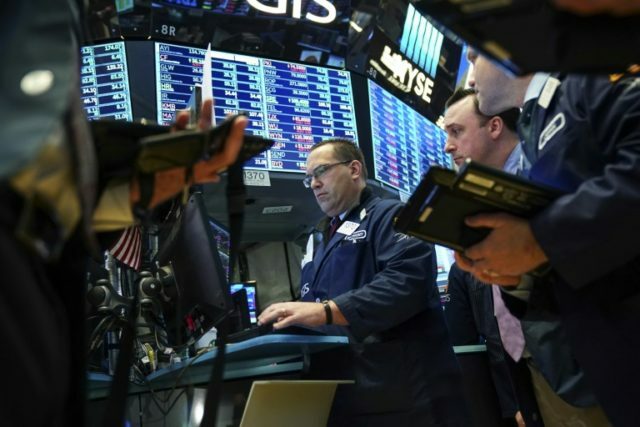 Geneva (AFP) – Market gyrations in response to tariff threats from political leaders show that financial traders do not grasp the intricacies of global trade, a senior UN official said Wednesday. Arancha Gonzalez, who heads the International Trade Center (ITC), told reporters that traders have proven too sensitive in the face of “big headline announcements” and “shooting from the hip” bluster about possible protectionist moves in major economies. “I think traders know about the global economy, but international trade procedures and rules may be a little bit too detailed for them at this point,” she added. Gonzalez, who runs a body set up by the United Nations and World Trade Organization to advise businesses, did not downplay the real impact of market swings triggered by back-and-fourth trade war threats in Washington and Beijing in recent weeks. But she said markets have been “overreacting” to such rhetoric because they “do not understand all of (the) intricacies,” especially the long journey between the announcement of a trade sanction and its implementation. Gonzalez said the multilateral trading system is indeed facing significant dangers, and urged global leaders to emphasise its successes in order to move forward. The 164-member WTO has become one of US President Donald Trump’s favourite targets. He has called it a “disaster,” a “catastrophe,” and generally blamed it for giving unfairly favourable treatment to China at US expense. “We focus on what doesn’t work, and we throw away all the things that work, including all the things that make international trade work every day for everybody on this planet,” Gonzalez said. Without naming Washington, Gonzalez voiced concern over the notion that working through the multilateral system is “only for the weak,” and that nations seeking to thrive in trade needed to face their rivals themselves. Trump’s trade team has expressed preference for bilateral deals while saying it would work within the WTO when it wants to and ignore WTO rulings when they violate US interests.